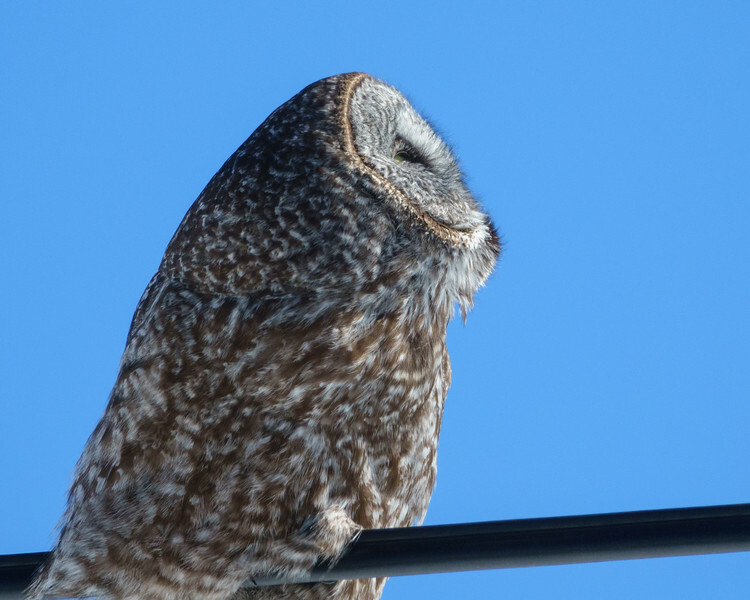 On a trip back from Duluth this week Karla and I saw this great gray owl clutching to the phone line. 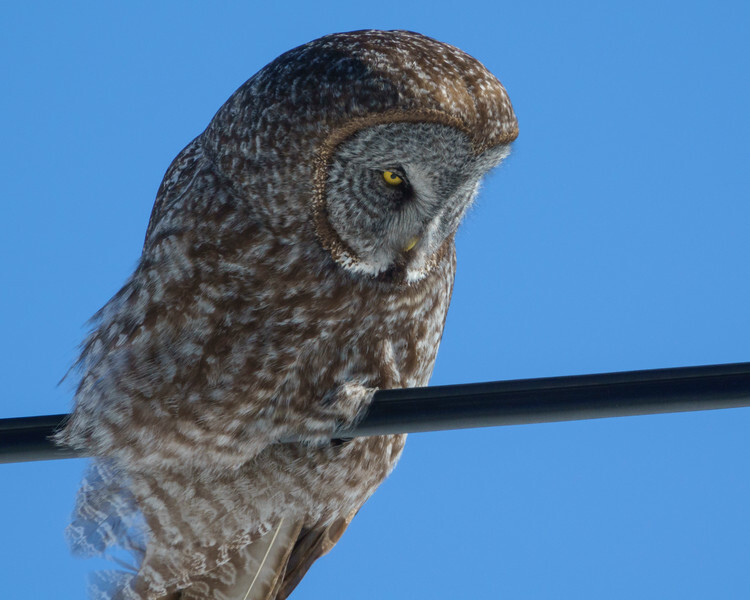 The recent warm days and cold nights have put a crust on the snow making it harder for owls to break through and catch their prey. In order to get enough to eat they feed not only at night but also during the day. 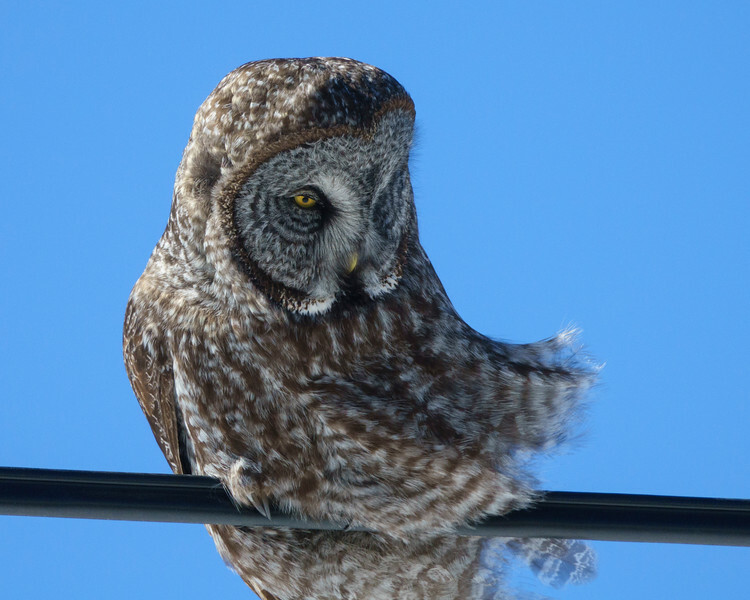 It happened to be quite windy so you can see its feathers being blown sideways. The wind doesn’t effect their hearing though. They can hear a mouse or vole moving under the snow half a football field away. 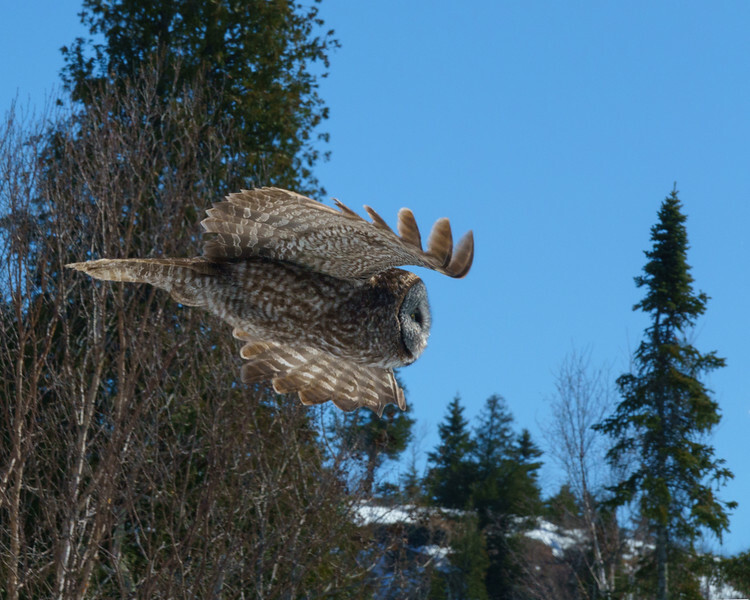 A raven flew over making the owl look up. Every time I see a great gray looking straight up it looks to me like it lost its head. 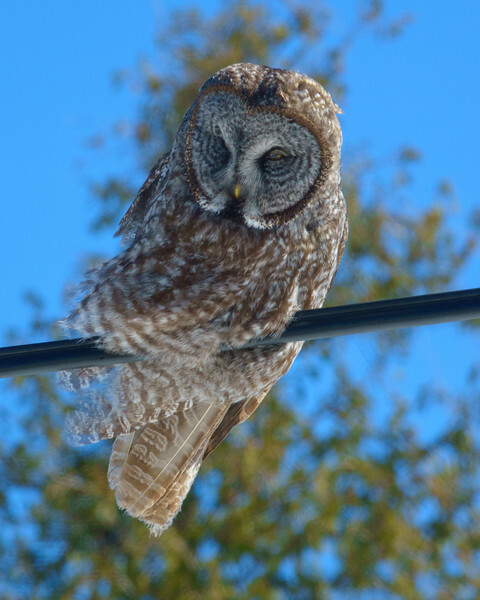 It sat on the wires intermittently resting. 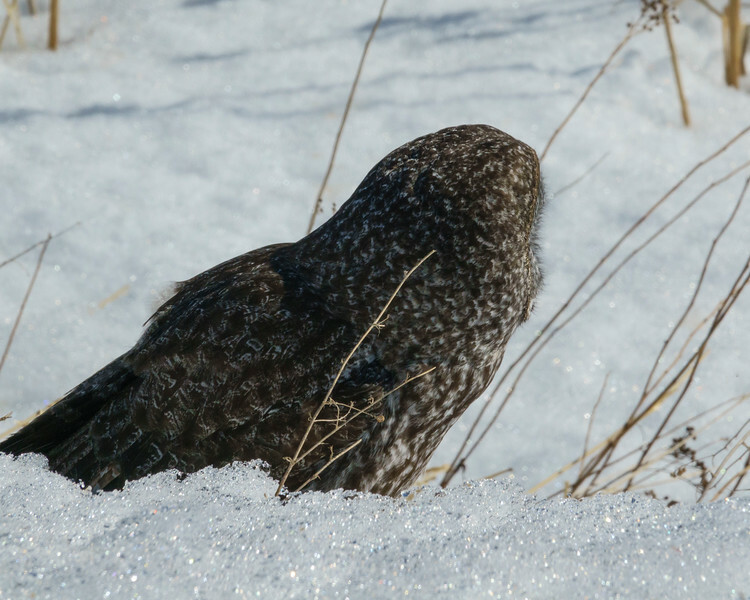 As soon as it heard a vole under the snow it took off flying and plummeted into the snow. We saw it drop on one vole or mouse but the crust was so hard it couldn’t get through. It started scratching the snow away but by then its prey was gone. It came up empty handed. As we drove off it was sitting on a birch waiting for more mice to venture by. 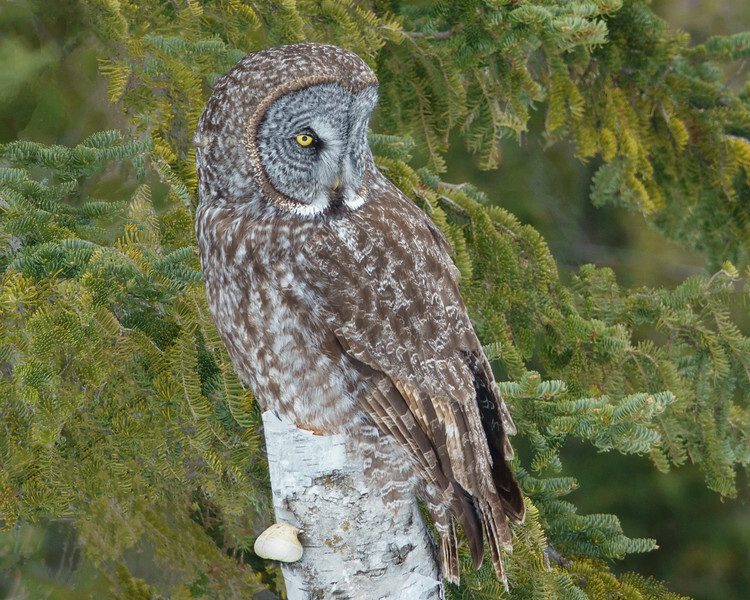 The great gray is Minnesota’s tallest owl. But its size can fool you. It weights less than three pounds. It is more feathers than body.